The Origin of the Bitser model in 1993! When a professional, market research agency conducted a study on 550 car owners, not one of them could remember a single Rover advertisement. Rover’s brand awareness was low, as was the awareness of Rover advertising. An undeserved situation – as Rover did have something to offer, in addition to its characteristic grill: a Rover set one apart, made a subtle statement of style. It was 1994 and the car market had known better times. Following severe total market shrinkage of 20%, a light recovery followed in 1993. But by 1994 the market had still not recovered its earlier volume. Manufacturers were saddled with large volumes of accumulated, unsold stock – which they needed to move before introducing new models. Their marketing, as a result, took on an aggressive character. The average consumer’s memory has place for a maximum of six brands. Smaller brands, with a market share of less than 1%, are therefore not remembered. With a market share of 0.9% Rover appeared as number 23 on a list of 30 car manufacturers in 1993. Rover had to compete with nearly all of the established brands, in all segments, and in particular with BMW, Mercedes, Volvo, Alfa Romero, Saab, Lancia and Honda. At the same time, Rover’s prices were high – only exceeded by Mercedes, BMW and Volvo. Car brands differentiate themselves mainly by means of price and brand experience. BMW, for instance, was seen by Dutch consumers as high quality, Ford as empathetic and Renault as innovative. Rover, however, hardly had a presence in the market. Market research showed that Rover scored low in top of mind awareness (0.3%) and also scored low (12%) on aided spontaneous awareness – i.e. on the basis of further prompting when the brand was not spontaneously remembered. If the consumer did remember Rover, the image was often negative. This despite the fact that Rover was competitive with other brands, both functionally and qualitatively, and in addition had the advantage of the heritage if its unique grill. Yet Rover’s brand loyalty was also ailing. At 50% it was at least 20% lower than the market average. A substantial increase in advertising awareness and visibility was necessary. Rover required much more brand awareness and needed to be positioned as a characterful brand with a positive image. Rover’s commercial objectives included a sales increase from 3,608 cars in 1993 to 5,500 in 1994, to be matched by a market share increase from 0.9% to 1.3%. Significant market share increase was required in the Rover 600 segment, a car introduced six months before the start of what was to be Rover’s new marketing approach. The new 600 followed the less recent introduction of the Rover 400. Other, older models had to retain their current positions in their respective market segments. The primary target market was every car owner in the Netherlands. Within this primary target group the focus was on males, 30-55 years old, in the A, B1 and B2 income groups, as well as Rover owners and people planning to buy a car, whether privately or as a company car. The secondary target group consisted of fleet owners and lease companies. The tertiary group was the (automotive) press. The strategy was characterised by the idea that there was a close relationship between awareness, image, dealer traffic and sales: no sales without a dealer visit, no dealer traffic without a good image, no good image without awareness. Without realising it, I had laid the foundation for the BiTser model in this approach! And so to the discovery of ‘uncopyability’. As far as positioning was concerned the small, Rover brand would have to ‘mine’ its proposition from its own, unique qualities. It would avoid comparing itself to other brands, nor would it identify with their propositions of quality, value for money, sportiness and so on. Instead of succumbing to the me-too effect, “Rover, taking its price point into account, would claim a positioning niche occupied by no other brand – style leadership”. 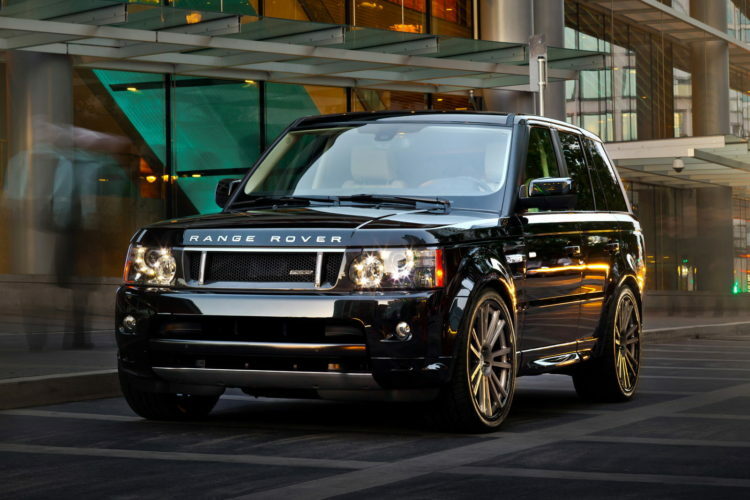 Style leadership fitted Rover’s looks – and in particular the grill – a desirable, emotive, status symbol. The proposition derived from this strategy was, ”Rover, a little different, a little more”. And this was translated into a credible, unpretentious promise, summarised as, ”The Rover difference: the touch of class is standard”. The style leadership proposition was supported by exploiting yet another unique dimension, the brand’s heritage: Britishness. A quality claimed by no other brand in the markets in which Rover operated, let alone what ‘British’ stood for: civilised, stylish, subtle, humorous, self-confident and modern. These were also the qualities that determined the tone of voice of Rover’s approach to the market and of its underlying communication campaign. Without my realising it, the foundation for uncopyable positioning had been laid here. Media selection was closely related to the above strategy as regards the creation of awareness, image, dealer traffic and sales. Posters – in free-standing street frames and in bus shelters – are a high-impact medium which can deliver a high frequency of contacts, a single-minded message and can cut through surrounding ‘noise’. The medium was used to rapidly build awareness. Television advertising was used to improve image across the broad target market. This medium is also highly emotive and can convey authority. Specific target groups were reached via car magazines and special interest magazines. Dealer traffic was stimulated using national newspapers, while regional and local daily and weekly papers carried small advertisements, with maps showing the way to the nearest dealer. In the car magazines Rover dealer lists were carried next to Rover tests and reviews. Sales support took place via direct mail and promotions in and outside the point of sale carried threshold-reducing offers which stimulated dealer visits, test drives and purchase. Direct mail was particularly effective, in that it could deliver personalised, hard sales offers, while these remained out of sight of the mass-market. (After all, a brand of ‘standing’ refrains from making such offers in public!) These promotions gained rapid and relatively low-priced national awareness via radio commercials – which, as stated, did not expose deep discounts and the like, but merely stimulated interest in the personalised communication. Loyalty was given a new impulse with events exclusive to customers. While dealers and employees were reached by setting up a long-term, internal motivation programme. Spontaneous advertising awareness increased from zero percent to 66% after the first week of the campaign. Six months later Rover could look back on substantial improvement of brand awareness: top of mind awareness increased in this half-year period from 0.3% to 1.0%. In other words awareness tripled, across the entire target group. Spontaneous awareness increased from 12% to 14%. And over the entire year top of mind awareness increased to 2% and spontaneous awareness to 16%. This support improved Rovers image enormously, while before the start of the campaign the brand had virtually no public ‘face’. According to research the consumer now saw Rover as a stylish, quality automobile for intelligent, well-educated people with a high income. It was ‘stylish, representative, characterful, a pleasure to travel in, distinguished and reliable’. Just three months after the start of the new campaign, 45% of respondents thought Rover to be prestigious, 48% stylish, 58% accessible (the most accessible of all automotive brands), 25% attractive, 23% higher quality and reliable. At first Rover was compared to brands like Subaru, Hyundai, Daihatsu, Skoda and even Lada. After the campaign had ran for three months people saw Rover as belonging to the category of BMW, Audi, Volvo, Alpha Romeo and Lancia. Dealer satisfaction rose from 36% to 87%. The number of dealer visits and test drives rose by 300%, despite the number of outlets dropping from 87 to 60 dealers. Rover managed to increase its market share above 1% for the first time in four years, improving it from 0.92% to 1.6%. Rover’s annual sales targets were exceeded by 6% after just nine months. The older models also managed to maintain their market positions. Relatively speaking, Rover had become the fastest growing car brand in the Dutch market. From an international perspective the results were also outstanding. In 1993 Rover Europe booked 14% growth against 12% for the total European car market. Rover Netherlands achieved 61% growth against 11% for the total Dutch car market. These achievements were rewarded with 27 national and international nominations and prizes. Yet the most important achievement of all was this: the foundations of the Bitser model and the uncopyable proposition had been laid.